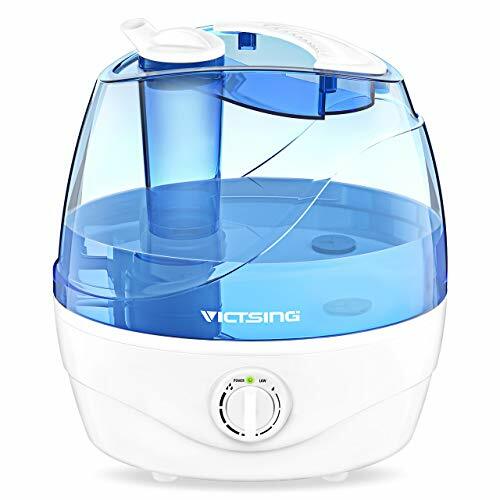 2.Please keep the product away from wall at a distance about 15cm when in use. .
3.To prevent any unpleasant odor and promote the efficency, please regularly clean the humidifier with citric or vinegar. 4.The atomizing nozzle inclines at 45 degree for more even mist output and it's adjustable to meet your varied needs. 6.It's normal for the humidifier to reserve some water in the water tank to safeguard its safely running. With adjustable mist output up to 180ml/h, you can easily control the humidity level for maximum comfort. The cool mist helps prevents dry eye, scratchy nose and throat, offer sound sleep and reduce static electricity when it’s dry in the winter from the heat in the house. It will automatically shut off when running out of water. It will stop misting when its water tank is removed. Ensure safety while in use. .